The threat of foreign fighter recruitment is greater today than it has ever been. The Islamic State in Iraq and the Levant (ISIL) is proving lethally effective in drawing extremists from around the world to their ranks, and in the United States, ISIL is targeting the Somali-American community in Minneapolis-St. Paul, Minnesota. There are more than 40,000 Somali-Americans and immigrants in Minnesota. This growing immigrant community is facing substantial challenges, including weak family structures, lack of education, racism and violent crime. In this mix of chronic community challenges, young people can be unsure of their personal identity, leaving them vulnerable to terrorist recruiters. The research and fieldwork conducted for this study reveals an evident relationship between the Somali terrorist group al Shabaab and ISIL. 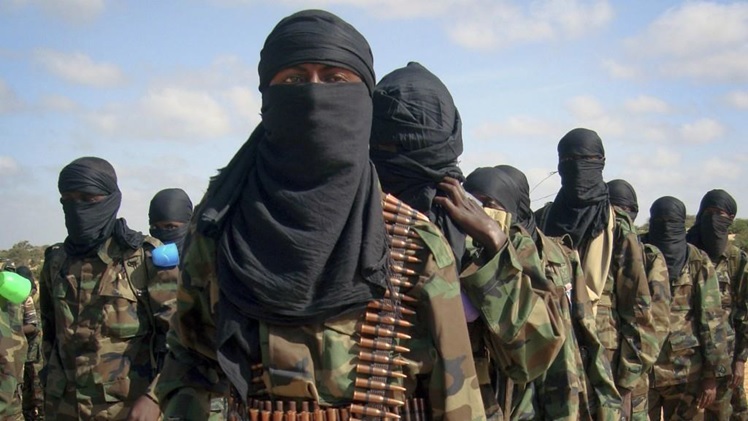 Indeed, ISIL has appropriated the al Shabaab recruiting network, indicating some collaboration between the two groups and suggesting a future direct alliance between them. The study also reveals that two common assumptions about foreign fighter recruitment do not consistently apply in Minneapolis-St. Paul. First, it has been suggested that poverty and a lack of social mobility are primary causes for radicalization and departure. In the Twin Cities, this is untrue. The second assumption is that social media is ISIL’s primary method of recruitment; in the Twin Cities, recruitment was reported to always include face-to-face interaction with a recruiter. Social media enhances recruitment but is not necessarily the primary tool for it. There are several programs in the Twin Cities that are positively influencing the lives of young people. At the same time, there are numerous organizations that secure government funding but do not achieve any measurable impact on the threat from terrorist recruiters, nor do they reduce community crime and related concerns. These organizations are exceedingly effective in passing government reviews, making it difficult to validate which programs are having a real impact based on a clearly articulated strategy. Included in this study are the community’s recommendations for what is needed to address challenges and halt the threat from terrorist recruiters. During fieldwork, the report authors identified several best practices for conducting research in an immigrant community. These practices allowed the report authors to rapidly gain trust, build relationships and gather unprecedented insight into the Somali-American community in Minneapolis-St. Paul. We are proud to present this important study and contribute to the national effort to protect our nation, our young people and reduce the risk of recruitment to ISIL’s deadly ideology. Read the next section. About the Report: The authors of this report are Dr. Erroll Southers, Director of Transition and Research Deployment and Countering Violent Extremism (CVE) Theme Leader, and Justin Hienz, Subject Matter Expert, both at the Department of Homeland Security National Center for Risk and Economic Analysis of Terrorism Events (CREATE) at the University of Southern California. The report was supported by researcher Dr. Heather Rosoff and USC Sol Price School of Public Policy graduate students Christopher Fox, Corinna Jiang, Sandy Lo, and Young Park. Questions about this report should be directed to Erroll Southers at southers@usc.edu. This report is sponsored by the U.S. Department of Homeland Security (DHS) Science and Technology (S&T) Directorate, in support of the CVE program. The goal of this program is to sponsor research that will support the Administration’s strategy to advance the understanding of the foreign fighter recruitment dynamic and the cultural, socioeconomic, and community factors that coalesce to create vulnerability to terrorist recruitment in the Somali-American community in Minneapolis-St. Paul, Minnesota. This research was supported by the United States Department of Homeland Security through the National Center for Risk and Economic Analysis of Terrorism Events (CREATE) under Cooperative Agreement No. 2010-ST-061-RE0001. Any opinions, findings, conclusions or recommendations in this document are those of the authors and do not necessarily reflect the views of the United States Department of Homeland Security or the University of Southern California.